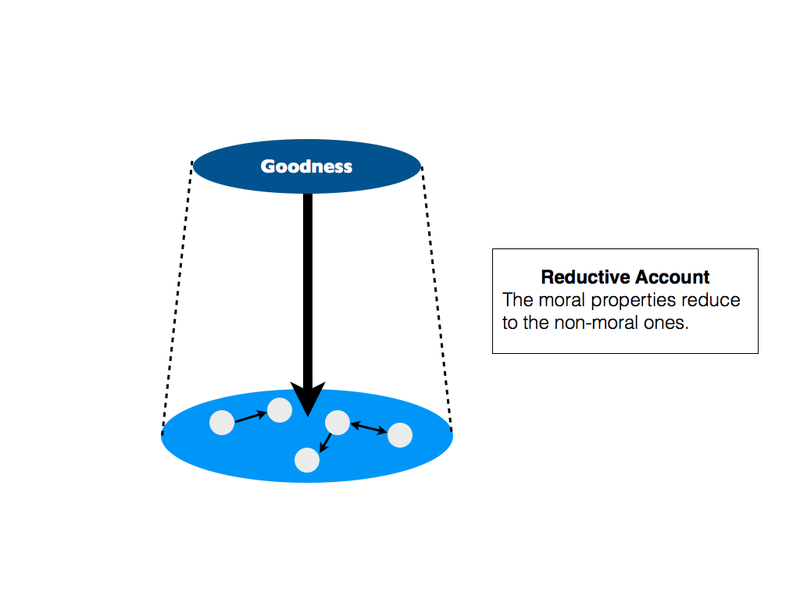 This post will share some useful conceptual distinctions, specifically ones that help us to better understand the tricky notion of moral supervenience. I take the distinctions Erik Wielenberg’s recent book Robust Ethics, which should be read by anyone with an interest in metaethics. I’ll break the remainder of this discussion into two parts. First, I’ll give a general overview of the problem of moral supervenience. Second, I’ll share Wielenberg’s taxonomy of supervenience relations. Supervenience: A set of properties A supervenes upon another set B just in case no two things can differ with respect to A-properties without also differing with respect to their B-properties. In slogan form, “there cannot be an A-difference without a B-difference”. This is difficult to understand in the abstract. So let’s consider a concrete example (in fact, let’s consider the most common example given in the literature). Suppose you have two paintings. One is Van Gogh’s original Starry Night and the other is a forgery. Suppose that the forgery is a perfect replica of the original. Every physical detail on the canvas is identical, down to the individual brushstrokes and splotches of paint. The only difference is that the canvases were painted by different people. In such a case, there are certain properties of the paintings (their form; their colour; and what they represent) that are supervenient on the physical properties of the canvases (the brushstrokes, the splotches of paint etc.). The first set properties are supervenient because they are invariant across both canvases. In other words, it is because the physical properties of the canvases are the same that the more abstract properties must be the same. If the abstract properties of form, colour and representation were different, then it must be because there is some difference in the physical properties. This is what is captured in the slogan “there cannot be an A-difference without a B-difference”. Why is this relevant to metaethics? It is relevant because moral properties are typically said to supervene on non-moral properties (typically, physical or natural properties). Take the earlier example of “Torturing an innocent child for fun is wrong”. Most people take that claim to mean that the moral property of wrongness supervenes on certain set of natural properties (specifically, the act of inflicting pain on a child for the purposes of amusement). So imagine there were two such acts of torture. If the natural properties varied in some way — for example, if the child did not experience pain and it was not done for amusement — then there may be some variation in the moral property (I say “may be” because wrongness could be ascribed to many different natural events). But if the natural properties are the same in both cases, then they are both wrong. This is thought to hold for all moral properties, like goodness, badness, rightness and wrongness. This is where Wielenberg’s taxonomy comes in to play. He suggests that there are three main ways in which to account for the supervenience relation between moral and non-moral properties (what he calls “base” properties). The first is to adopt a reductive account of supervenience. Here, you simply argue that the moral properties are completely constituted by the base properties, to such an extent that they reduce to the base properties. Certain naturalist metaethical theories take this form. 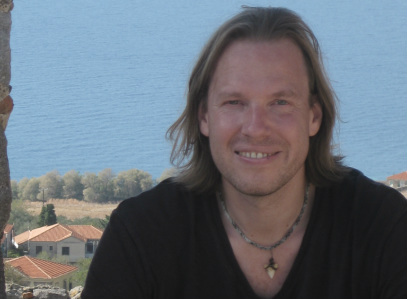 For example, Frank Jackson argues that all moral statements ultimately reduce to descriptive statements about natural entities, events and states of affairs. That is: moral statements are nothing but particular kinds of descriptive statements. Wielenberg refers to this as R-supervenience. The second account is slightly more complicated, but can be referred to as the exemplar or resemblance account. According to this, there is a tripartite relationship between the moral properties, the base properties and another set of necessarily existent properties. The relationship is such that the base properties resemble or exemplify the other set of necessarily existent properties. This account is commonly adopted by theists, with Robert M Adams’s theory of finite goodness being a prime example. Adams argues that the moral goodness of, say, a person is attributable to the fact that the person resembles God’s nature (where God is a necessarily existent being). So in this case, the characteristics of the person are the base properties; God’s nature is the set of necessarily existent properties; and goodness is the moral property. The moral property supervenes on the base properties arises because of the resemblance between the base properties and God’s nature. Wielenberg calls this A-supervenience (in honour of Adams). The third account is the making account. According to this, moral properties supervene on base properties because the base properties make the moral properties. That is to say: the base properties explain the existence of the moral properties. This is not a reductive account because the two sets of properties are still deemed to be distinct; but it is an explanatory account because the former explain the latter. Wielenberg identifies two types of moral explanation: grounding explanations (which ground, but do not reduce, one set of properties in another) and causal explanations (which explain how one set of properties causes the existence of another). Wielenberg himself prefers causal explanations, mainly because there is much ambiguity as to the precise nature of grounding explanations. But causal explanations of moral supervenience have their problems too. Since moral supervenience is thought to be a necessary relationship, causal explanations are deemed inapt. This is because causation is generally thought to cover contingent relationships not necessary ones. Wielenberg says this is wrong, and that a causal explanation of morality may be possible. I won’t get into the intricacies of that argument now. You can read the book if you want the details. Some people may argue that the making account is not really about supervenience at all. This is correct, to some degree. The making account goes beyond supervenience by trying to provide an explanation for the existence of moral properties. It is a more robust type of metaphysical relationship, one that is often confused with pure supervenience. Think about it like this: pure supervenience is about modal co-variation, i.e. how properties remain the same across different entities and/or possible worlds. There could be some properties that co-vary across possible worlds without standing in an explanatory relationship to one another (i.e. not all necessary relationships have explanations). But Wielenberg thinks that moral properties probably do, and that the challenge in metaethics is to provide a making-account of moral supervenience. This is interesting to me because I have written an entire paper arguing that explanations of certain moral properties may not be required. Anyway, Wielenberg calls the making account D-supervenience in honour of another philosopher, Michael DePaul. You can ignore the name if you like. That’s all I wanted to say in this post. 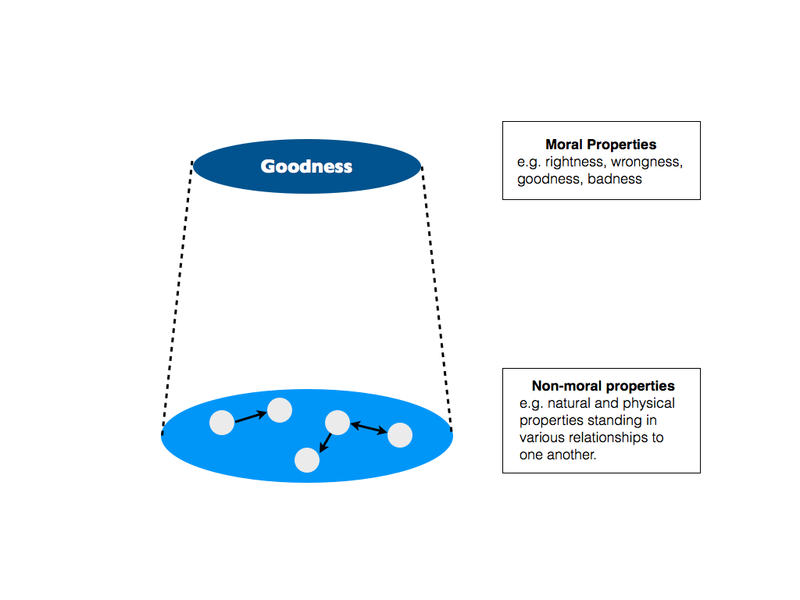 To briefly recap, moral properties are commonly believed to supervene on non-moral properties. The existence of this supervenience relation is thought to be puzzling, and so many philosophers think we are owed some account of how it comes to be. 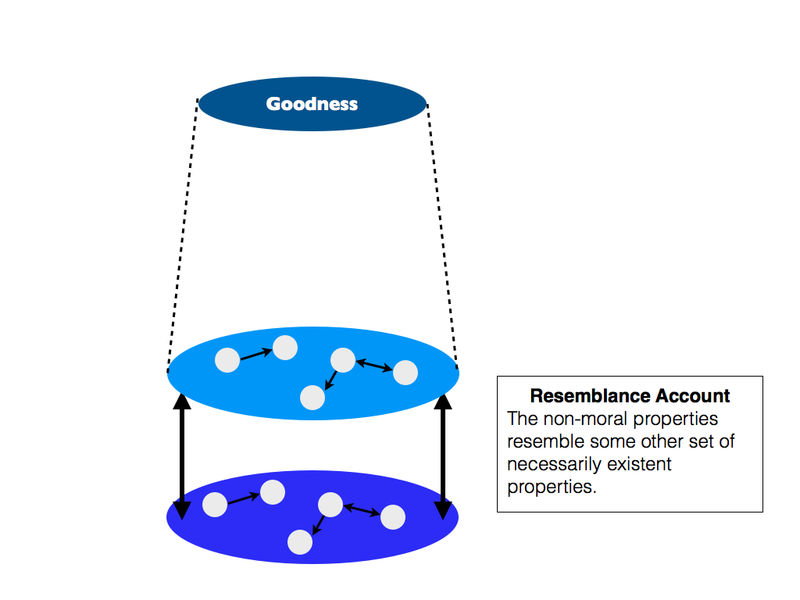 Wielenberg suggests that there are three accounts that we could give: (i) a reductive one, according to which moral properties are nothing but non-moral properties; (ii) a resemblance one, according to which moral properties supervene on non-moral properties because the latter resemble some third set of necessarily existent properties; and (iii) a making one, according to which non-moral properties explain the existence of moral ones.